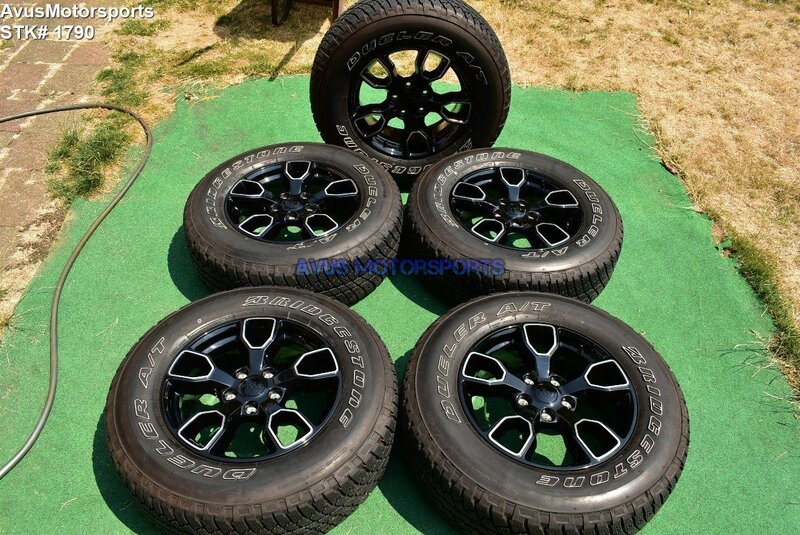 This item is for a set of (4) 2017 Jeep Wrangler Smoky Mountain Edition OEM 18" genuine factory wheels and Bridgestone Dueler A/T p255/70R18 . These wheels and tires were removed from a 2017 Jeep Wrangler Rubicon with around 5000 miles, so they're in excellent condition, but do expect some minor scratches or blemishes (please view all pics). tread depth new is 14/32"